Please check your child's homework folder each night. - Each night clean out folder so it's neat and organized. Ask your child about this book? 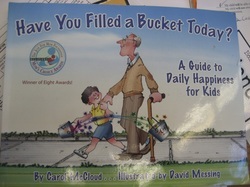 Every day ask your child: Were you a bucket filler or bucket dipper?